Find out what’s on-air now, and what program’s up next, tomorrow, and beyond. Find information, airtimes, and archives for all of our shows, and find shows by genre. Treasured listeners! Valued supporters! Radio fans of all shapes, sizes, colours, and creeds! It’s the time of the year when we ask you to reflect on all the great programming you heard on CKUW in the last year, and cast your vote for the cream of the crop. As in previous years, we’re looking for your picks for favourite host, favourite music show, and favourite spoken word show. Cast your votes here! When all is said and done, we’ll be inviting you to join us on Saturday, May 18 for our 13th annual Volunteer Awards, where we’ll be revealing the big winners. Mark your calendars now and be on the lookout for more updates. Did you get a Friends card during our recent Fundrive? Don’t forget to use your card at participating businesses and let them know that you support CKUW too! The updated Friends map can be found below, bookmark or add it to your Google Maps for reference. Pledge collection is now at the CKUW Office/Studio during office hours (10am-5pm). You can pay an overdue pledge or make a new one and feel great supporting downtown community radio. While you’re here ask for a station tour or record an ID, we’ll be happy to show you behind the scenes at CKUW. 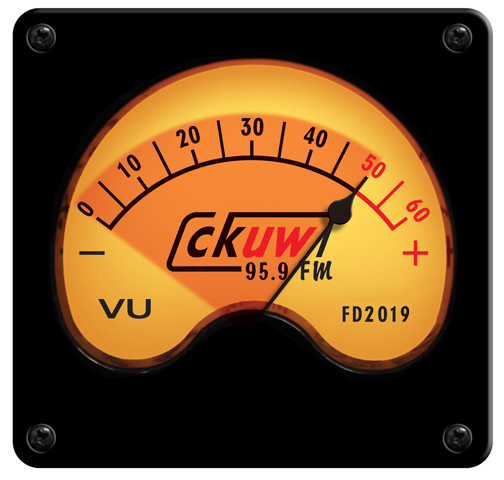 Thank you to everyone who has come by to pay your Fundrive pledges, we have passed $53,221 pledged to CKUW and we are grateful for your support! If you haven’t paid your Fundrive pledge or forgot to make a pledge please come on down to the UW bookstore and visit our Pledge Desk! The bookstore is open Monday – Friday 8:30am – 5pm. Free parking is available off of Colony St S. See you soon! I have been listening for about 6 months..I love it.